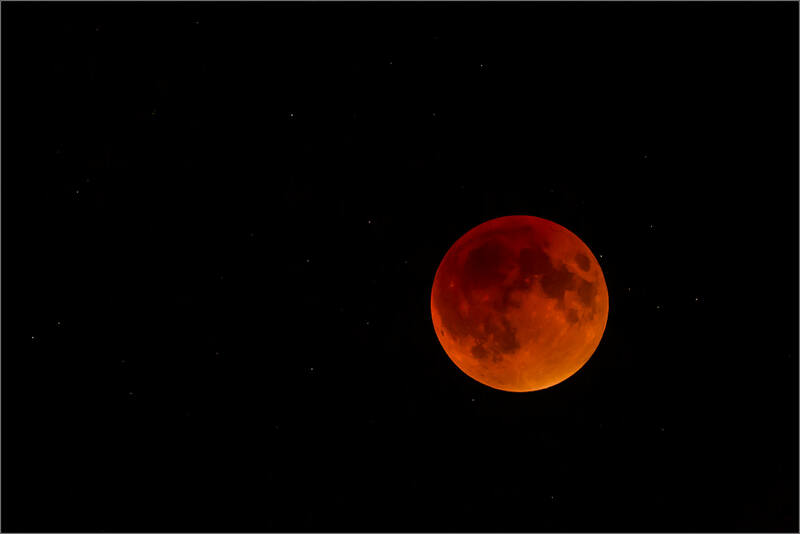 Last night was the lunar eclipse where the moon turned a deep red which lasted for more than an hour. I traveled to south to get to the edge of the clouds which had rolled in over my home in Bragg Creek before sunset. In Turner Valley I found clear skies and set up as the moon was entering the earth’s shadow. 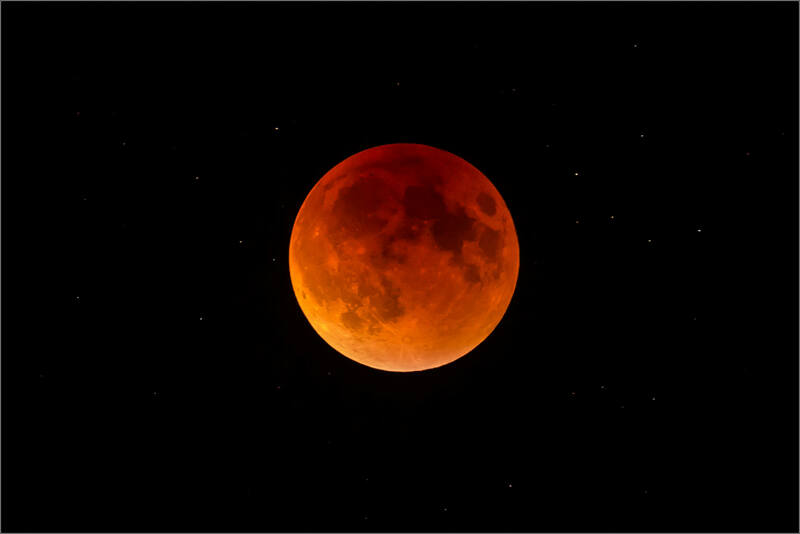 I was awestruck, as usual, with this fourth of the tetrad of lunar eclipses which have been spaced six months apart starting in April 2014. It was a beautiful transit with the moon’s surface moving through oranges and reds before returning to her brilliant white. It has been an incredible series of events to witness and I have enjoyed photographing them immensely. I’m excited about the new beginnings and opportunities they herald. This entry was posted on September 28, 2015 by Christopher Martin. 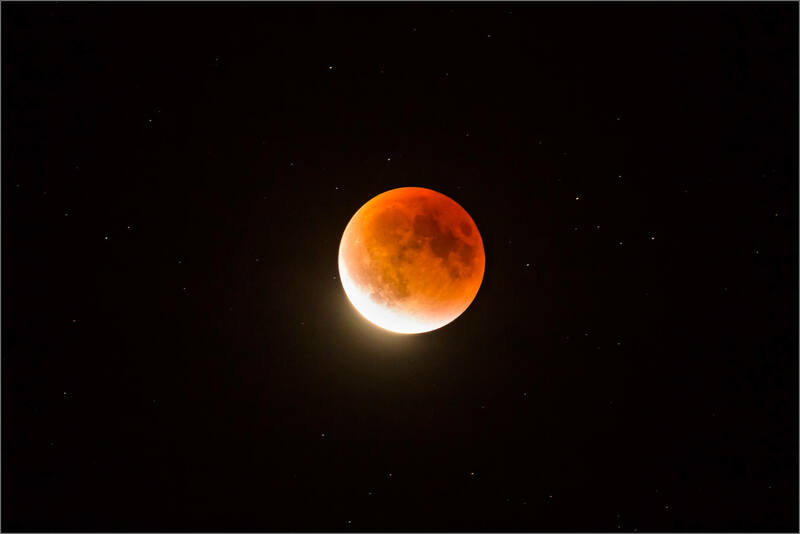 It was filed under Landscapes, Moon, Nature, Night Photography, Spiritual and was tagged with Blood Moon, Canada, celestial event, lunar eclipse, night photography, night sky, super moon. Those are great reminders of the scene that unfolded before me in slow motion. Thanks Lyle. I too enjoyed the gentle pace of this eclipse – and that it was at quite a reasonable hour compared to its siblings! Yes excellent point. Very civilized hour. I was out there shooting in Edmonton and was fascinated with the changes in texture and colour. These are great captures, clear shots of the moon really shows the roundness . I am impressed with the stars too. May I ask what your exposure settings were? Hi Jane – thank you for your comments. It was a beautiful night, I am glad to hear that you were out for it. As for settings, the first and third photos were both 0.8 seconds at f/4.0, ISO 3200; the 2nd was 0.5 seconds at f/4.0, ISO 5000; and the last one was 1/60th of a second at f/8.0 on ISO 250. While the moon was in the shadow, and as a result much dimmer, it was a balancing act between enough exposure for a bright moon while keeping a short enough shutter speed so that there was detail on the surface. As the moon returned to full sunlight, wrestling with the bright areas was required. Fun stuff to play with! Beautifully crisp photos. Thanks for sharing the exposure info. I’m curious about the equipment you used, specifically the focal length of the lens. I used a 300-mm lens on a Nikon D300, and I just couldn’t get the focus as sharp as you have it. Hi Brian – thank you for visiting. I was using a Canon 5DIII which has great high ISO resolution and a 500mm f/4 lens. At those long lengths we were both using stability is critical. I had my tripod, ballhead and telephoto arm locked down as tight as I could to eliminate as much vibration as possible. The longer lengths magnifies the slightest movement which can kill sharpness far too easily. The challenge with the moon is that it is moving at a pretty good pace so any long exposures blur the moon’s details. I’m always balancing time and ISO to expose the moon nicely and keep good detail. 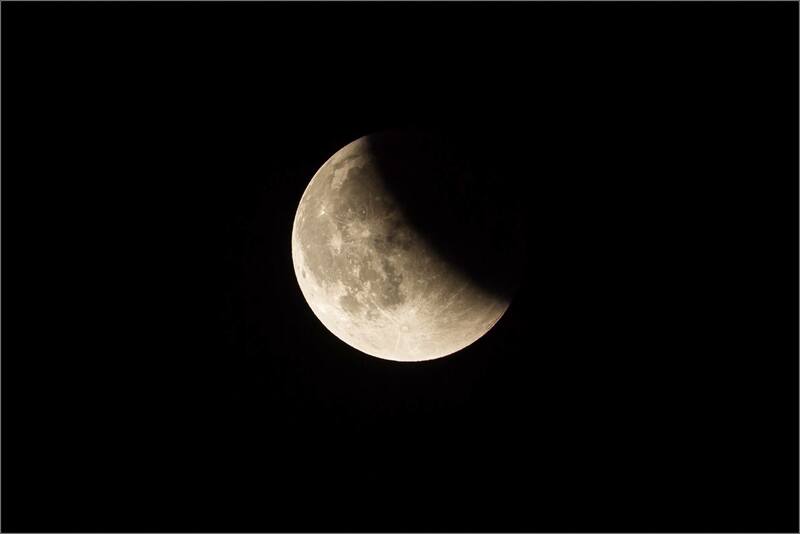 Another step I use is to focus manually while using live view – in an eclipse the moon is dim so it is more of a challenge but with a brighter moon it is much easier and provides a sharper image than auto focus. Hope this helps! Beautiful! Where I live, it was cloudy for 2/3rd of the event. I got to see the last 30 minutes only:(. Hi Svetlana – That’s too bad the clouds didn’t part earlier but I am glad that you did get at least some of the performance.